The Rolex Daytona holds a special place within the vintage collecting world. 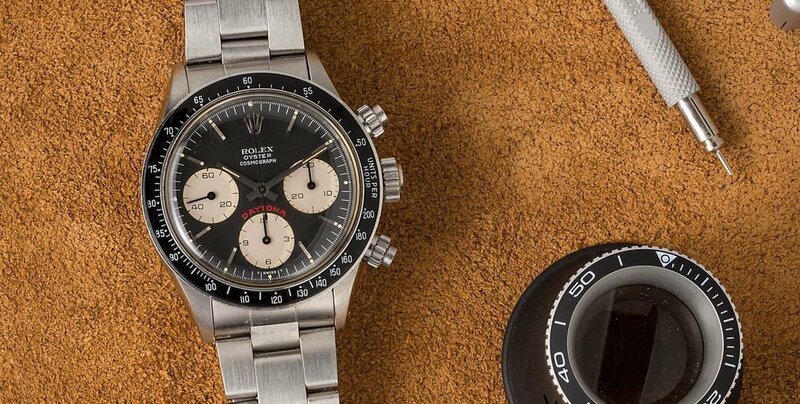 Arguably more than any other line of Rolex watches, the Cosmograph Daytona has a remarkable way of exciting collectors, and attaining stratospheric prices at auction. While a number of vintage Daytona references have attained legendary levels of collectability, the reference 6263 is considered by many to be one of the most desirable vintage Daytona references of all time. 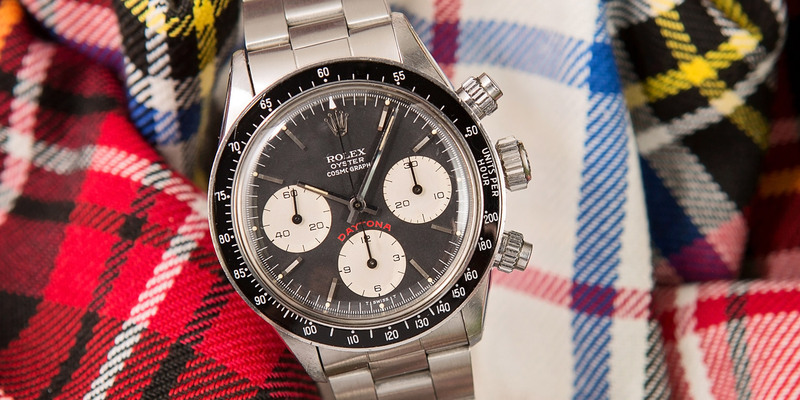 The Daytona 6263 Big Red is a collectible watch in the Rolex community. The defining characteristic of the reference Daytona 6263 is its black, acrylic bezel with tachymeter scale. Throughout the history of the Daytona, most references have been fitted with metallic bezels; however the black acrylic bezel on the reference 6263 adds a ring of dark color around the face of the watch, significantly changing its aesthetic and giving it a slightly larger overall appearance. This Daytona 6263 Big Red features a different line of text from other Daytonas. Although the reference 6263 Daytona watches with a Paul Newman dials receive the majority of the press attention and sell for astronomic prices at auction, the “Big Red” is another dial variation of the iconic reference 6263 Daytona that is frequently sought-after by collectors. Offered in either black or silver with contrasting colors for the sub-dials/chronograph registers, the reference 6263 “Big Red” gets its name from the bright red “Daytona” name that appears in an extra large font, right in the center of the dial. Not all reference 6263 watches were fitted with dials that had the red “Daytona” name on them. Depending on the year of production and style of dial that was fitted to the watch, some reference 6263 watches do not have the “Daytona” name on the surface of the dial at all. Additionally, even among those that do have the red “Daytona” name on them, the size of the font can vary, which is the reason for the “Big Red” versus “Small Red” designation that is frequently mentioned within Rolex collecting circles. Part of what makes the reference 6263 “Big Red” so collectable is that it represents the perfect blend of modern and vintage Rolex chronograph characteristics. The reference 6263 is equipped with a screw-down crown and chronograph pushers – something that is found on later-era Rolex Daytona references; however its 37-millimeter case diameter, manually wound Valjoux movement, and acrylic crystal make it an undeniably vintage timepiece. Get this watch on your wrist. The contemporary stainless steel Daytona with ceramic bezel, reference 116500LN, draws heavily on the design of the reference 6263. Not only are the screw-down chronograph pushers and red “Daytona” name shared between the two watches, but also the black Cerachrom bezel on the present-day Daytona is more than a little reminiscent of the black acrylic bezel that was fitted to the reference 6263. 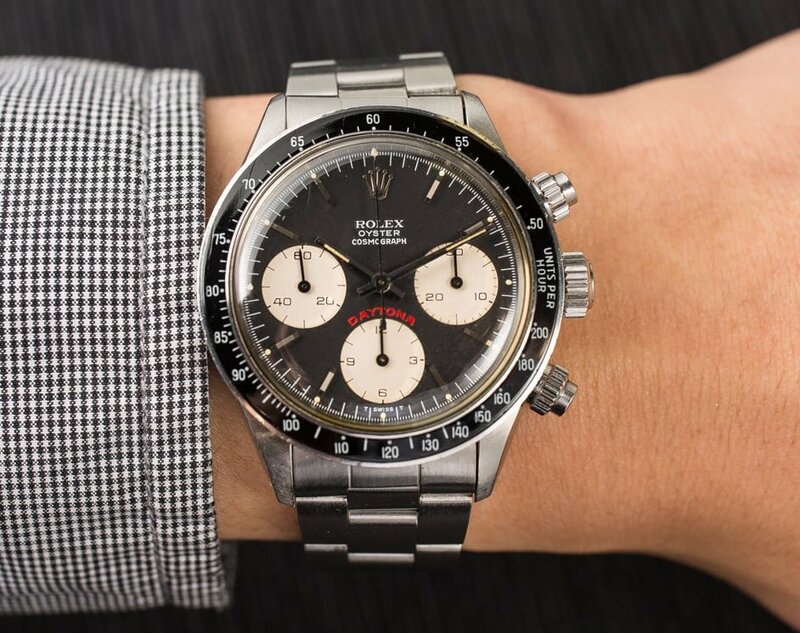 The Rolex Daytona is one of the most collectible watches of all time, and the reference 6263 ranks among one of the most desirable vintage references for collectors to own. Although the “Big Red” is not the absolute most rare or valuable iteration of the Rolex Daytona – that would be one with a “Paul Newman” dial – the reference 6263 “Big Red” is easily one of the most iconic, and sits at the crossroads where vintage meets modern, right before the Daytona began to take its contemporary form.